Governor Gretchen Whitmer is reiterating that she will not sign a state budget unless it includes new money for Michigan's roads. 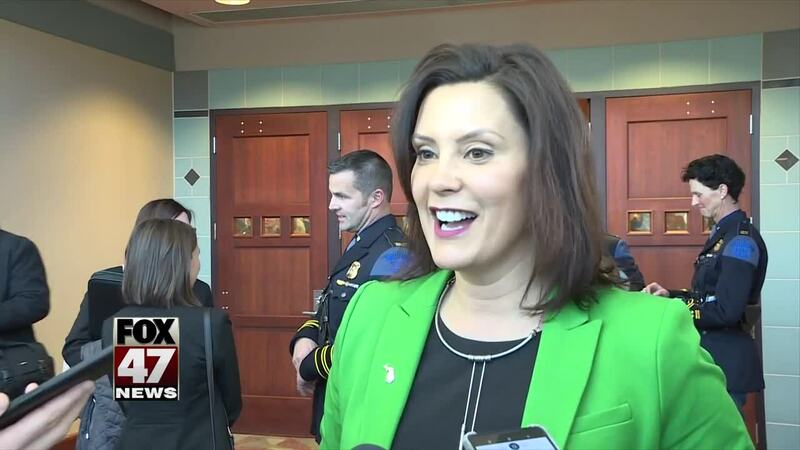 LANSING, Mich. — Governor Gretchen Whitmer is reiterating that she will not sign a state budget unless it includes new money for Michigan's roads. In her budget presentation at the beginning of the month, Governor Whitmer proposed a 45 cent increase in the gas tax. She's asking republicans who opposed it to come to the table with their own plan. "It's got to be $2.5 billion in infrastructure. It's got to be dedicated to roads and bridges, not hoping that a future legislature spends the money on roads and bridges. So that's why I concluded and put the solution I did on the table and until we have a budget that's actually balanced, no one should leave town," said Governor Whitmer. The governor has the power to veto any one line of a budget bill. Lawmakers are required to have a balanced budget in place by October 1. Legislators are on a spring break right now; session resumes April 9.